For those who may not be familiar with the medieval Icelandic sagas, below are some very brief general comments about this extraordinary literary genre, plus some links to further information about the sagas available on the internet, and some suggestions for reading in traditional book format, should you be more that way inclined... It's a hard thing to convey a sense of these remarkable narratives in only a few sentences but I hope it gives those who haven't come across the sagas before a rough idea about them. As I mention in my project outline (archived at http://sagasteads.blogspot.com/2010_10_01_archive.html), the medieval Icelandic family sagas or Íslendingasögur (literally, "Sagas of Icelanders") were written down for the most part in the 13th century in Iceland, and describe the lives of the first few generations of settlers in Iceland in the late 9th, 10th, and 11th centuries. None of the sagas' "authors" are known and their anonymity is central to understanding the circumstances that surrounded their composition, as well as the relative freedom with which subsequent scribes hand-copied and transmitted the texts, from the medieval period right up until the early 20th century. The sagas present a great number of highly individual and memorable characters. 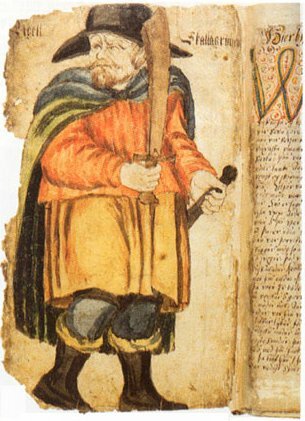 Some sagas are biographical and sketch out the lives of famous Icelandic figures such as the difficult and provocative Egill Skalla-Grímsson (Egils saga Skallagrímssonar), or the outlaw-poets Grettir Ásmundarson (Grettis saga Ásmundarsonar) and Gísli Súrsson (Gísla saga Súrssonar). Others, such as Eyrbyggja saga, Laxdæla saga, and Njáls saga, have a wider focus and follow the development of bloody feuds that unfold in different districts. Much of the narrative material about specific characters and events that was worked into these written, literary compositions must have been passed down orally prior to the writing of the sagas, from one generation to the next. Stylistically, the sagas are striking for the way that their narrative perspective gives the impression of being very objective: events are reported soberly and tersely without overt authorial comment, characters do not reveal their inner thoughts or emotions, and dialogue is reported without narratorial comment or analysis. These stylistic features have led some modern commentators to refer to the sagas as the forerunners of the prose novel, many centuries before the 18th-century rise of this genre of literature...but herein lies a vexed question as to whether the sagas are history, or literature, or something in between -- not a question I will take up further here, for the moment anyway! I am a 33-year-old academic researcher currently based in Reykjavík, Iceland. In 2011, after many years studying the medieval Icelandic sagas at the University of Cambridge, I set off on a year-long solo research project/adventure which involved reading each saga 'on location' around Iceland. The 1000-year-old past described in the medieval Icelandic sagas is written into the landscape all around Iceland. In 'The Saga-Steads of Iceland: A 21st-Century Pilgrimage' project, I explored how the sagas are a living literature with an existence beyond the printed page. I used this blog to report on my progress and write about specific sagas and my experiences over the course of the year; I am currently completing a book about the project. Information about my academic publications can be found on my academia.edu page. What are the medieval Icelandic sagas? Are My Feet In The Way? 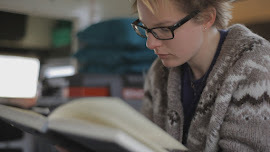 Content and photographs copyright Emily Lethbridge 2010. Simple theme. Powered by Blogger.